In 2016, you will often find French Presses that are made from heat and shock resistant glass and plastic, and while there’s nothing wrong with that per se, there is a growing movement towards French Press brewing systems which are made entirely of stainless steel, like the Frieling 18/10 Polished Stainless Steel French Press unit here. As many of us know, things which are made of steel are, foremost, two things – durable, as well as more expensive. There is a reason that manufacturers made their French Press coffee makers out of things like plastic and glass – its much, much cheaper than stainless steel. This does set the Frieling French Press here apart from, say, the popular KONA French Press which is priced substantially lower due to its material costs. That said, the KONA French Press is also very popular and loved by coffee fans everywhere, but its just not the same as the Frieling here. If you are looking for a French Press which is less expensive than the competition, the Frieling 18/10 Stainless Steel French Press here is probably not for you. However, if you can afford to spend a little more, what you get at the end of the day is a product which will last you a lifetime, and that’s more than just an expression in this case. Have a look at this Crew Review video showing the Frieling French Press in action, and you will probably see why the average cost of this unit is a little higher on the whole. One of the big features of the Frieling 18/10 Polished Stainless Steel French Press is its ability to retain heat – or cold. 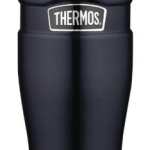 Because of its double-wall steel insulation, when you use this unit, your coffee is going to stay piping hot for a lot longer than it would with glass – approximately 4 times longer, which is a considerable difference. Whether you’re serving up drinks hot or cold from the Frieling here, all of that temperature stays contained within its walls, allowing you a certain convenience because you won’t be thinking of the fact that your carafe is rapidly losing heat, or returning to room temperature, as the case may be. Because stainless steel does not hold onto aromas or tastes, you will get a truer coffee / tea / beverage flavor that you would not get from other French Press units. This is another reason we believe it is worth it to get the Frieling French Press here, because it provides some of the best tasting coffee (or whatever you decide to serve with it) you can get. With its 36 ounce capacity carafe, serving several guests coffee with the 18/10 Polished Stainless Steel French Press is no problem at all. 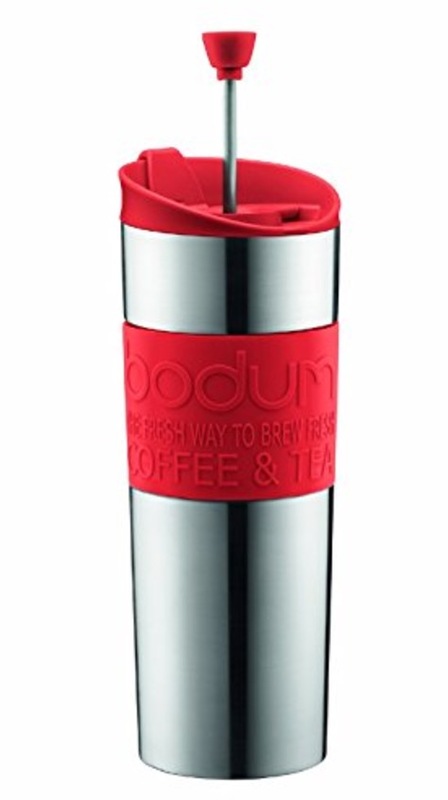 In fact, add to that that the insulation provided by the stainless steel is going to keep your coffee / tea beverage hotter longer and you have a classy coffee brewer that acts as the perfect way to serve guests. With its full length handle, it is very easy to grab hold of and transport around the room, with no danger of burning yourself because there is plenty of space between the handle and the carafe itself. 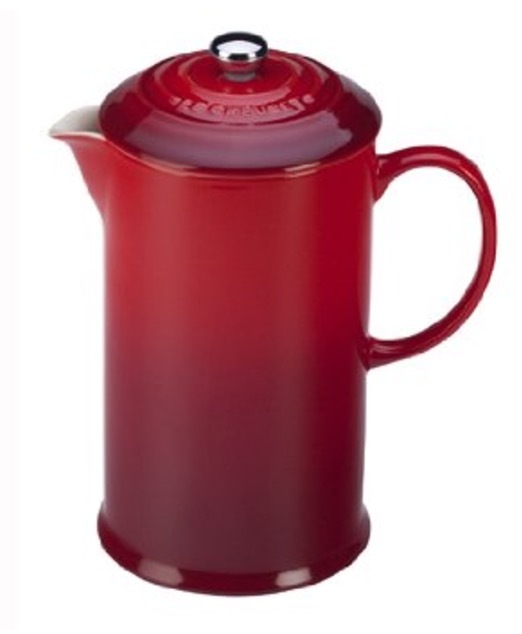 You can tell that Frieling considered this when they designed this French Press. Still, one should always be careful when handling hot beverages. If you are looking at the Frieling French Press online, you will see that you have the choice between either brushed steel, or a mirrored steel look. Its nice to see that even though Frieling has made things simple and elegant by choosing to make their French Press entirely out of steel, there is still an aesthetic choice we can make, depending on our preference. Frieling offers a 5 year warranty with this unit against any defects, so its nice to know you are in good hands there. We think that 5 years is a fair amount of time to offer a warranty for most coffee makers, and, in most cases, you don’t get nearly that much coverage. Because this is stainless steel we’re talking about here, there isn’t the same danger of it breaking like glass or plastic, but its still a great thing that this warranty is included here. There have been many concerns lately over both brewing and serving products that contain BPA, so its good to know that with this stainless steel French Press, you are getting something which is BPA-Free. 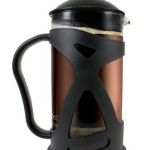 This Frieling French Press here really does belong in our 2016 Best BPA-Free Coffee Maker Round Up. As you might expect with a product made from 100% stainless steel, cleaning this Frieling Stainless Steel French Press is very easy. Just use some soap, water, and a softer cloth and you will be back in business. It is also dishwasher safe, which is fairly self-explanatory. Still, this is perhaps an under-rated feature as some other French Presses may not be able to handle going through some kind of automatic cleaning cycle. If you’ve ever received a package that has been next to impossible to open, and causes what some have termed “wrap rage”, Frieling have addressed this issue here and offered customers Frustration-Free Packaging, which simply means its easier to open used recycled boxes. 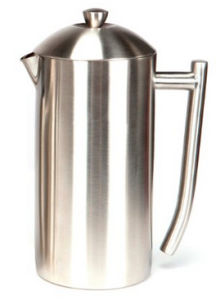 For the asking price, one would hope to get a little bit extra out of the Frieling 18/10 Polished Stainless Steel French Press. Luckily, the Frieling here really delivers, and is a coffee fan favorite among buyers. If you have a little bit extra to spend on a French Press, this is definitely a worthwhile purchase.